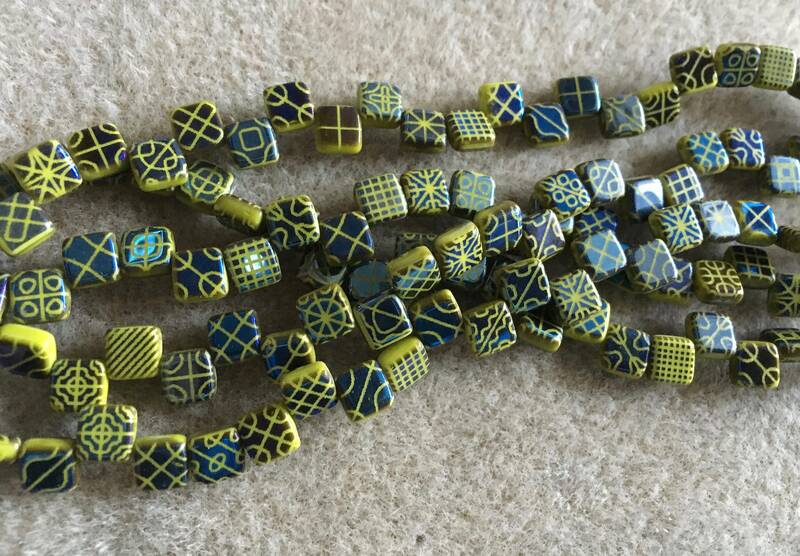 Olive Green two-hole Czechmates tile beads with mixed patterns in navy blue on back and front, 6mm x 6mm. Made in Czech Republic. 25 beads per strand. I looked EVERYWHERE to find these beads and you were the only shoppe to have them. Imagine my glee when they were also a reasonable price--and you had enough for me to complete the project I'd been designing! Thank you so, so much for stocking these little treasures. 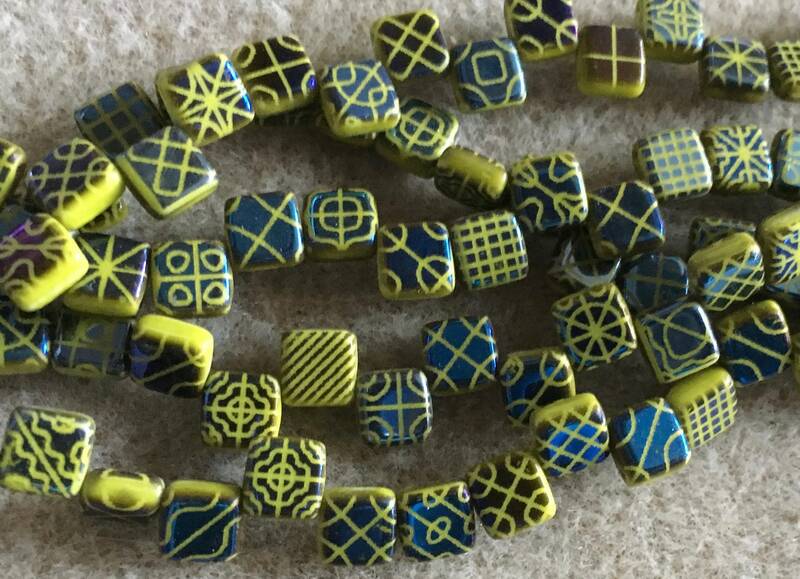 A really WOW type of surface design on these beads. It's impossible to find this color and surface design combination anywhere else. I am glad for the opportunity to work these beads into something dazzling. Thanks.